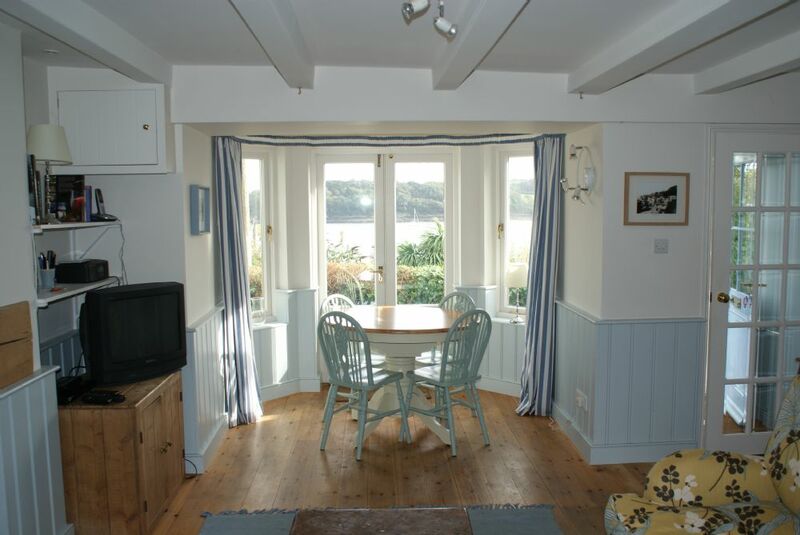 Mizzen Cottage is a nicely restored and refurbished Victorian cottage situated above Marine Parade with lovely sea views, only a couple of minutes walk from the good range of facilities in the centre of St Mawes. A flight of shallow steps from Marine parade lead to both Mizzen Cottage and Mizzen Top with a further small flight of steps up to Mizzen Cottage. Entering through the front gate you find yourself on the Suntrap terrace in front of the cottage with good views out to sea. The front door off the terrace gives access to the lobby, and the light and spacious lounge /dining area with french windows to the terrace to make full use of the sea views. The TV, DVD, music centre and comfortable settees combined with the easy access to the outside space make this a lovely area in which to relax. The property also has a wood burning stove in the lounge area. The well equipped kitchen off the lounge has fridge, freezer, double electric oven and hob, microwave and oven. To the rear of the kitchen is a small yard that is ideal for drying wet suits etc. A family bathroom with WC wash hand basin and washing machine also leads off the lounge. Stairs lead up to the first floor with three bedrooms. 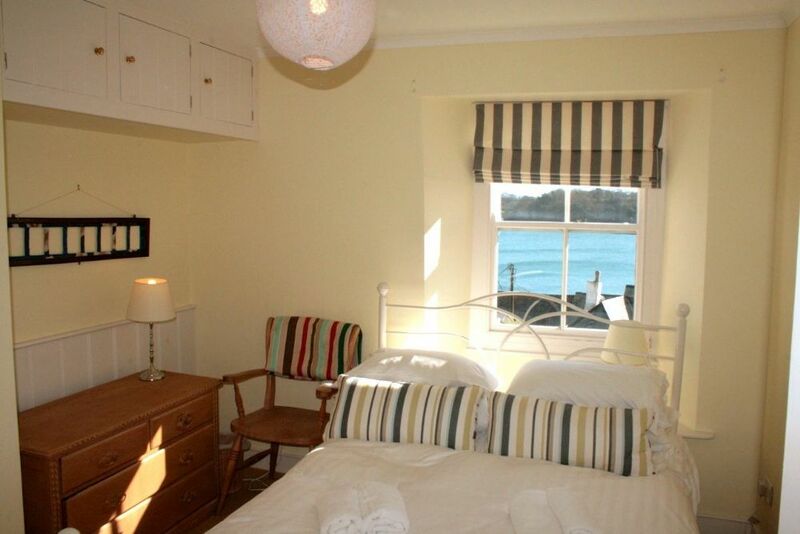 The two front bedrooms have super sea views and double beds and the third bedroom at the back of the property has bunks beds. The shower room is fully tiled and there is a separate WC. Please note that there is a step up into the toilet. Heating is by night storage heaters with the addition of the wood burning stove in the lounge to make this a warm and comfortable holiday home at all times of the year. Car parking is available in the main village car park which is about 1,000M. Mizzen Cottage - 175052 Mizzen Cottage is a nicely restored and refurbished Victorian cottage situated above Marine Parade. Lovely sea views. Next to the centre of St Mawes. "I love coming back to this cosy property, it is like home from home. Being able to wake-up to the sea views day after day is heaven. It is in a good location and provides a peaceful haven if you want to get away from the crowds with just enough amenities close to hand."